WhatsApp is the most popular messaging platform in the world. 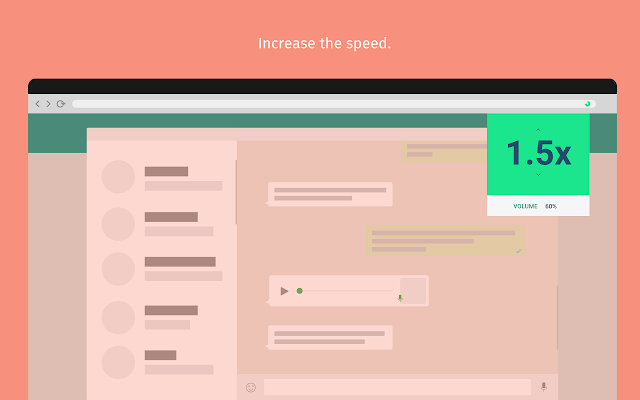 The messaging application used to be only limited for use on smartphones, however, WhatsApp launched its web client on January 21, 2015, which allows users to use their WhatsApp account on their PC/Mac too. WhatsApp Web is a really useful feature especially if you often work on your PC/Mac and don’t want to keep switching between your smartphone and computer while responding to WhatsApp messages. To use the feature all you need to do is visit the WhatsApp Web page and scan the QR Code using your smartphone with the WhatsApp application. 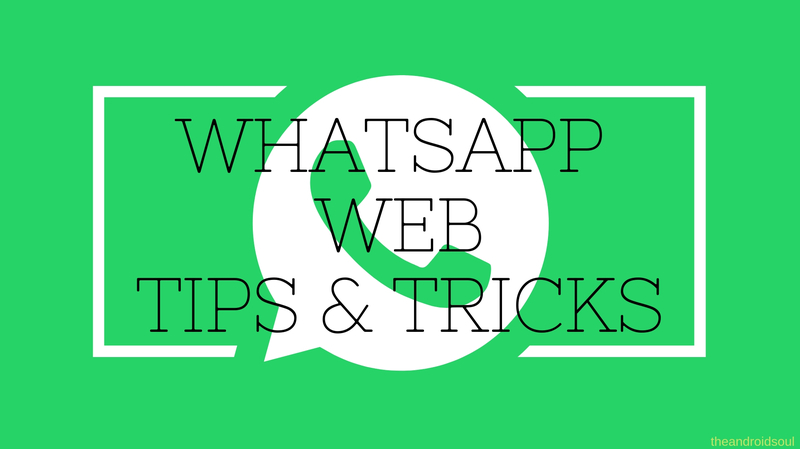 Here are a few tips and tricks to check out when using WhatsApp Web on your PC/Mac. Using the WhatsApp Web interface with your mouse is not the most intuitive way to navigate around, instead, we’d suggest checking out these cool keyboard shortcuts to do a few things much quicker than if you have to use the mouse. To ensure you have an uninterrupted experience while using the WhatsApp Web client, we’d recommend keeping your smartphone connected to the Wi-Fi or mobile data at all times. WhatsApp Web does not function if your phone isn’t connected to the internet hence, make sure to keep Wi-Fi or mobile data on to receive or send messages via the WhatsApp Web client. If you’re someone who has two or more WhatsApp accounts, then you’re in luck since there are a couple of ways to login and use multiple WhatsApp accounts on the same PC. Open an incognito tab on your browser and then visit the WhatsApp Web page and scan the QR code as usual to set up your account. Using an incognito tab would allow you to open multiple WhatsApp accounts on your PC and they would function as the normal WhatsApp Web client itself. If you don’t want to use incognito tabs or change your browser, then you could also use a WhatsApp Web client proxy dyn.web.whatsapp.com which is absolutely safe to use and is also verified by Scam Adviser. Using this proxy site would allow you to open two WhatsApp accounts on a single PC. The only caveat is that the proxy malfunctions at times. You might be thinking that this is fairly simple and you could just turn off the Read receipts feature in WhatsApp settings, however, you could use another simple trick when using WhatsApp Web to read incoming messages and not show the Blue Ticks without the need to toggle of read receipts in the settings. Now open any other window e.g. File manager, notepad, etc. Since the window would be in the foreground, the browser would assume you’re working on a different app hence, the messages would not be marked as read. 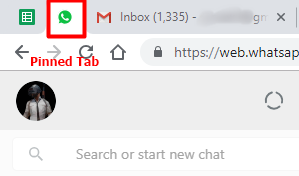 If you’re ready to let the sender know you’ve read the messages, then simply click back on the browser tab with WhatsApp Web opened. This would then turn the grey ticks to blue for the sender and they would know you have read the messages. Unfortunately, we can’t yet make voice calls via the WhatsApp Web client so for now, users have to make do with voice notes. While voice notes are pretty convenient and fun to use, at times the voice notes can be too long and you might not feel like listening to the whole voice note or the sender’s voice might be too soft for you to hear. Luckily, there’s a cool Google Chrome extension that lets you adjust the volume of the audio note and even change the playback rate of the voice note. The extension lets you boost the volume all the way up by 100% and also lets you change the playback rate by 2x. Yes! you read that right. It’s super easy to transfer files from your phone to your PC via the WhatsApp Web client, however, to be clear, this process does take place via the internet hence if you’re using your mobile data then, we’d suggest keeping track of the file size you want to transfer to avoid depleting the data or having to pay extra. Keep in mind for this to work you’ll need a second WhatsApp account or a someone else’s phone to transfer the files from/to. 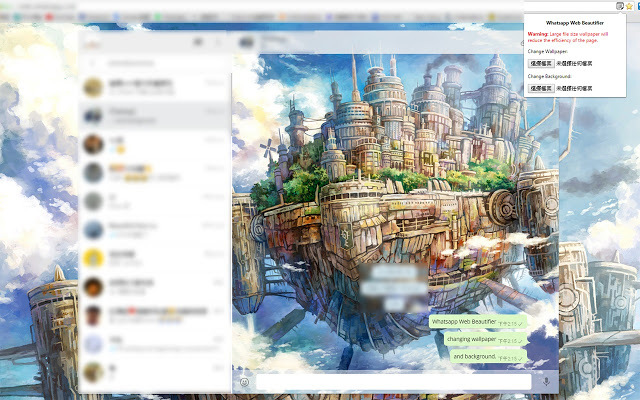 While using WhatsApp Web on your Chrome browser, you could install an extension which lets you change the background image while in the chat window as well as the background of the WhatsApp Web client. To do this, simply download and install the W.Beautifier extension for Google Chrome and install the app. Click on the extension and then you would be able to see two options ‘change wallpaper’ and ‘change background’.